World Record Title: The cypress "Western Paradise" relief created by Mr. Huang Wenshou et al. from Putian City Dangui Craft Co., Ltd. is the largest cypress buddha statues relief in area in the world. World Record Creator: The cypress "Western Paradise" relief created by Mr. Huang Wenshou et al. from Putian City Dangui Craft Co., Ltd.
World Record Holder: The cypress "Western Paradise" relief created by Mr. Huang Wenshou et al. from Putian City Dangui Craft Co., Ltd.
World Record Field: cypress buddha statues relief. World Record Rules: 1.the world's largest cypress buddha statues relief. World Record Value: Area of 22.5292 square meters. The cypress "Western Paradise" relief created by Mr. Huang Wenshou et al. 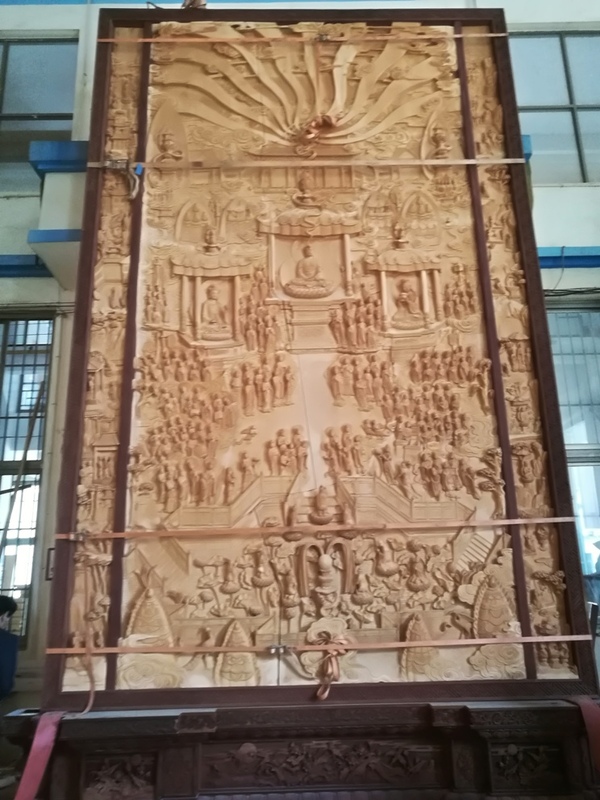 from Putian City Dangui Craft Co., Ltd. is the largest cypress buddha statues relief in area in the world. Verified on 19 November 2017.